Myrmecophila orchids are 'ant pants', providing a cavity for the ants. 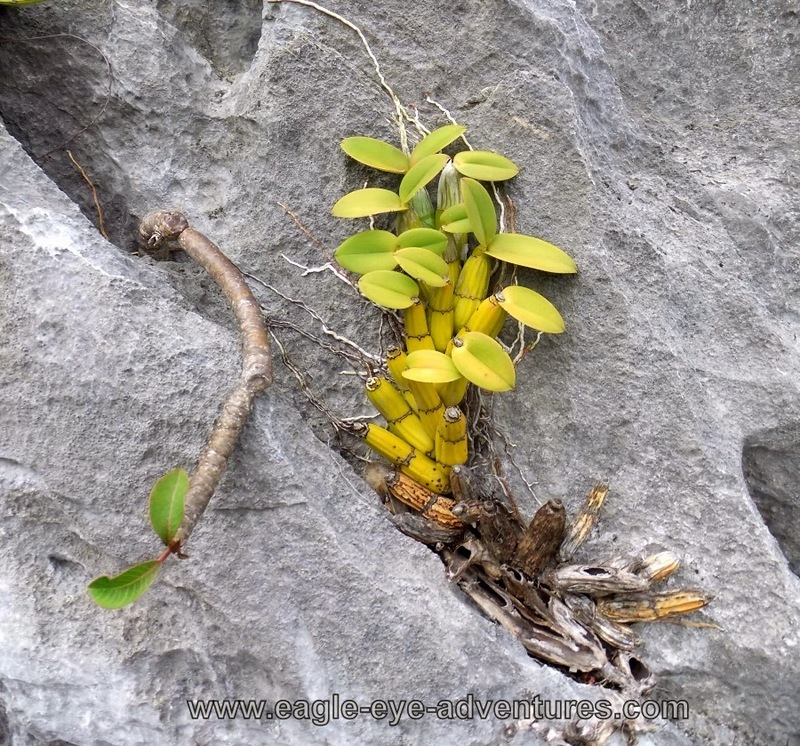 Here is an amazing species, Myrmecophila christinae growing on pure limestone exposed to full sun. Quite an amazing plant! 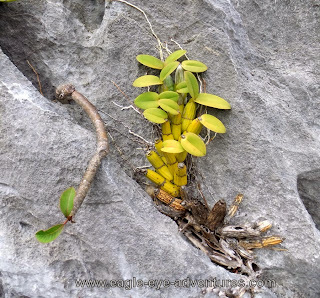 Incredible that any plant can survive growing on pure rock, but these are also growing in full sun with a southerly exposure and on limestone. Limestone is noteworthy since it is basic in nature (higher than neutral pH). Most epiphytes and lithophytes prefer it slightly acidic as nutrient uptake is greatly enhanced.